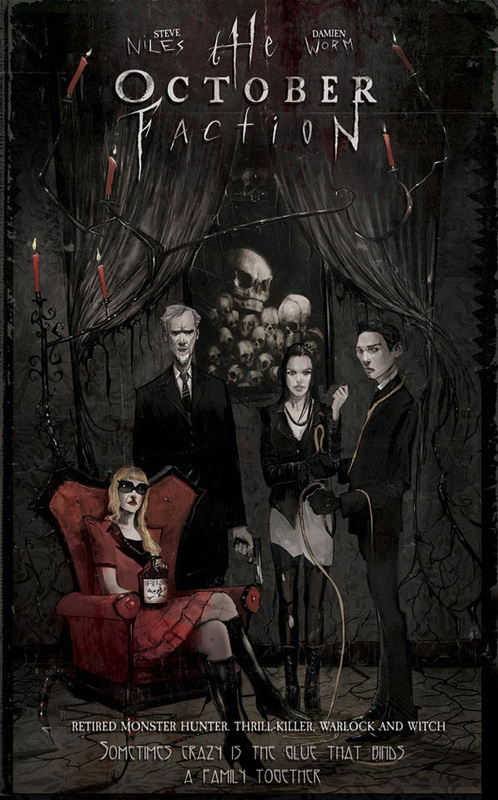 It is said that no two families are alike, but never has that been more true than in the case of the Allan family, the subject of Steve Niles and Damien Worm’s new IDW ongoing series, The October Faction. Steve Niles is credited as one of the contemporary writers that brought horror comics back to prominence with works such as 30 Days of Night, which was also made into a major motion picture. He is currently collaborating with another horror legend, Bernie Wrightson on Frankenstein Alive! Alive! and Damien Worm on Monster & Madman, both from IDW.